As of 16th October 2014, DEWA has doubled the amount of the DEWA deposit paid by tenants to AED 2,000 for apartments and AED 4,000 for villas. It was announced in the media today, 16th October 2014, that the deposit to be paid to DEWA to arrange the electricity and water connection will be AED 2,000 (US Dollars 545) for apartments and AED 4,000 (US Dollars 1,089) for villas. Please remember to take this into account when doing your sums! If your electricity and water supplies are currently connected you will not be asked to pay an additional DEWA deposit. If you rent and move into another property expect to pay this increased DEWA deposit. The DEWA deposit is returned at the end of your tenancy but you need to request a ‘final bill’. The final bill shows the current amount outstanding. You can request that the outstanding amount is paid from the deposit. You will need the final bill for the landlord or agent to prove that you have closed the account which is in your name. If you do not close the account and provide the final bill to the landlord/agent then they can retain your security deposit. A new tenant cannot open an account on the same property if a final bill has not been produced by DEWA. DEWA do not allow two or more accounts to be held against the same property address. This makes it important to ask your landlord/agent for a copy of the final bill before you sign the Tenancy Contract. It would be pointless to rent a property where the electricity and water could not be connected because of an unpaid bill. An owner will also need to pay the increased deposits to have the electricity and water connected, if necessary. 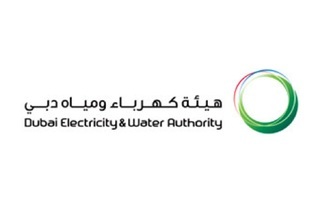 The Dubai Electricity and Water Authority is the only supplier of these utilities in Dubai.